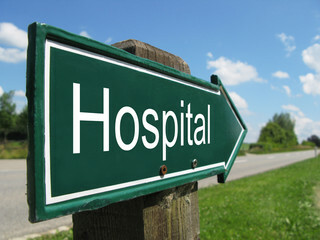 According to the University of North Carolina’s Cecil G. Sheps Center for Health Services Research, more than 70 rural hospitals have closed since 2010. An NRHA-sponsored study shows more than 650 rural hospitals are ‘vulnerable or at risk for closure’, which represents over 10% of hospitals in the entire country. Independent hospitals face immense pressure to cut costs at every turn, especially in an environment where more and more health systems are merging, creating tough competition. With nearly 20% of all Americans living in rural settings, many people are at risk of losing not only their healthcare providers, but major employers in small communities that create a sense of togetherness and pride. Rural and community hospitals must be phenomenal stewards of their resources to keep their doors open and maintain the community-centric culture they want to protect. HANDLE exists not only for the large healthcare systems, but for small, regional healthcare providers as well. By utilizing HANDLE’s service and market intelligence, independent hospitals are finding ways to cut costs while maintaining a high level of patient care. A rural hospital found itself with three major capital projects within one ﬁscal year. Looking to see if they could save money and time, the hospital reached out to HANDLE. They were already familiar with the company as they had recently procured supplies at lower rates and were excited to learn that they could also receive major savings for their upcoming projects. The hospital needed to procure two new sterilizers for their facility and had already obtained a trade-in offer from the OEM. This hospital was familiar with the success HANDLE has had in beating trade-ins, but was excited to also test HANDLE’s ability to complete a large scale, complex clinical project. HANDLE was able to quote the entire project, including deinstallation of old machines, installation of the new machines, and a service agreement for almost $200,000 less than the original quoted price. The hospital needed to quickly replace 10 older Hill-Rom recovery beds as repairs were no longer sufficient. Reaching out to HANDLE, they were provided a quote for 10 high-quality refurbished beds for 50% less than the original OEM quote. This was a total savings of close to $100,000. Along with saving costs on the beds, HANDLE was also able to coordinate the logistics from removing the old ﬂeet to the shipping and handling of the refurbished beds. The sterile processing department needed to be completely renovated – something that had not been addressed in 15 years. Since the hospital is small, the entire job needed to be custom built to ﬁt their challenging and unique space. The hospital got a quote on a sink buildout for the space from a large manufacturer, but felt they could get a better deal with HANDLE because of the success they previously had. HANDLE was able to procure high quality, custom built sinks at 50% less than the manufacturer quote. The sinks had the same standards and came with a lifetime warranty. HANDLE is now the first source to buy and sell capital for this hospital and many others. They now have one source for procurement, trade-ins, asset disposition, and one call for any warranty issues. Many of the employees at HANDLE are from very small towns. We remember the hospital sponsoring our tee-ball teams and having friends and family work there. We want to see rural and community hospitals survive and thrive. Email us today at contact@handleglobal.com about your next capital project.